Parents agonize over their kids' education, whether or not they will find a job, and over their safety online and in the real world. Parents worry that they will not be able to relate to their sons and daughters and wonder why their kids seem to think they know everything. Both parents and kids fear not being able to pay for college, and students fail to realize the impact today's actions will have on their future. Some parents are frustrated and worry that their children will not take their education seriously or get enough out of it to really help them find a bright, successful future. Business owners and community leaders worry that schools and families are not adequately raising children to become competent, capable, productive employees and members of society. They desire educated prospective employees who will represent them well. They need to know that their communities will be safe and free of crime and drugs. Thus, the very future of our society depends on the proper education and mindset of our children. 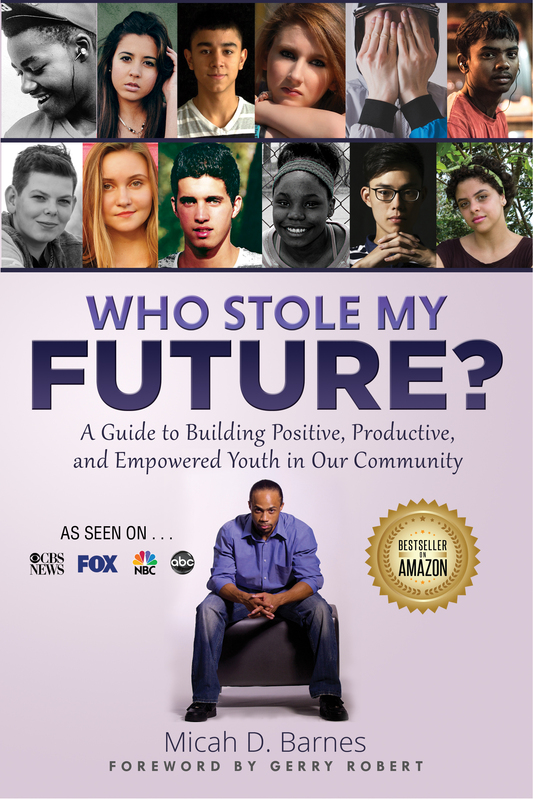 Who Stole My Future? is the antiseptic for these ills. It provides parents and community leaders with ways to immerse teens in a positive environment, to communicate more effectively with them, to encourage them to be productive, and to empower them to be assets to themselves and their community. It provides teens with proper thinking and methods to help them stay a step ahead of their peers as they become responsible young adults. Plus, it defines quick and easy ways to build self-confidence. Foster your child's growth and keep them on the road to becoming life-changing individuals. Be simultaneously motivated and educated with tips from the experts and motivational stories that will plant the feet of our youth on the road to empowerment and productivity. Immerse your adolescent/teen in a positive environment. Listen to your kids in a way that can defuse arguments and rebellions. Consider extracurricular activities that will bring the best out in your teen. Be aware of social media apps and trends for the safety of your teens. Discover the ways teachers kill the dreams of students and learn how kids react to teachers who have stolen their future. Generation Z: Learn about the personality of this new and unique generation so you can better understand and inspire them. Discover why sports is still one of the best ways to build character into your kids. Learn the eye-opening truth about what kids will never tell you about being bullied. What do parents really think about today's youth? What do teens really think about you as parents? A convicted felon warns parents what they should never do to their kids.